Vitamin E has endless benefits, which is why getting the right amount in your diet is crucial. You'll not only feel healthy with plenty of vitamin E, you'll look the part, as well. You can even apply vitamin E to your skin for an extra radiant glow. That's why knowing how to reap the many benefits from this vitamin (and how to get enough in your diet) is worth your while. Getting plenty of vitamin E in your diet is necessary keep your heart at its healthiest. In fact, the University of Maryland Medical Center says (based on numerous studies) people with higher vitamin E levels have lower risks of heart disease due to vitamin E's antioxidant properties. A review published in 2014 in the Sultan Qaboos University Medical Journal found vitamin E supplements reduce risk factors for arterial blood clotting (blot clots in arteries). However, because other studies found no heart healthy benefits from vitamin E, more research is needed. Believe it or not, vitamin E in your diet may help strengthen your immune system. MedlinePlus says vitamin E helps protect you against viruses and bacteria while keeping your immune system strong. Oregon State University confirms vitamin E enhances immunity that typically decreases with age. Likewise, a deficiency in vitamin E can impair your body's immune system, notes the Office of Dietary Supplements. So eat plenty of antioxidant-containing, vitamin E-rich foods or consider taking supplements to meet daily requirements. Because vitamin E is an antioxidant and protects body tissues from oxidative (free radical) damage, it may play a role in maintaining that youthful look you desire, MedlinePlus notes. In fact, many types of skin care products (especially anti-aging creams) even contain vitamin E as an ingredient. However, always chat with your doctor before taking high doses (up to 1,000 milligrams per day) of vitamin E supplements, especially if you're taking any medications. Because of vitamin E's antioxidant effects, it theoretically reduces your cancer risk, as free radical damage may contribute to cancer-causing DNA mutations (changes in DNA). However, studies to date show mixed results. 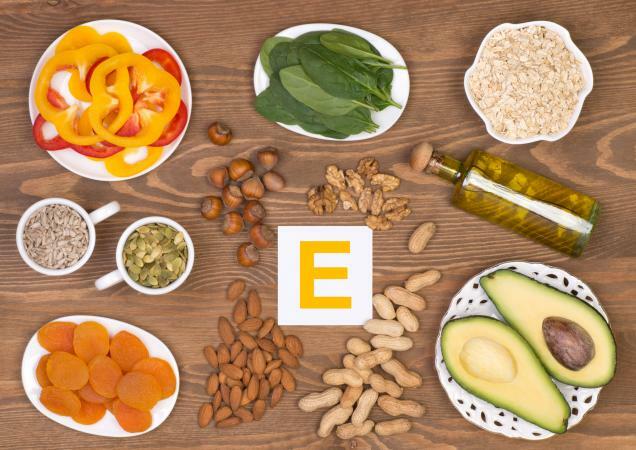 The University of Maryland Medical Center says vitamin E in your diet from foods appears to help lower cancer risks while high-dose vitamin E supplements do not. So, more research is needed in this area, but results to date show promise. You might be surprised to discover antioxidants like vitamin E may do wonders to keep your mind healthy and alert, according to several research studies. Harvard School of Public Health says getting vitamin E from foods may lower your risk for Parkinson's disease, and vitamin E supplements could reduce your risk for Amyotrophic Lateral Sclerosis (ALS or Lou Gehrig's disease). A study published in 2014 in the journal Nutrients says high vitamin E levels appear to lower your risk for Alzheimer's disease and improve cognitive performance, and vitamin E seems to promote brain health. However, studies examining the effects of vitamin E on neurodegenerative diseases and cognitive function do show mixed results. Your risk of cataracts, an eye condition that causes cloudy vision, increases with age but getting plenty of vitamin E may help. The 2014 review in Sultan Qaboos University Medical Journal says that while study results are mixed, supplementing your diet with vitamin E is associated with slower rates of vision cloudiness, and vitamin E supplements appear to lower your risk for cataract formation. Due to increases in obesity and type 2 diabetes in the U.S., fatty liver (an enlarged, fatty, painful liver leading to cirrhosis or liver cancer) is a concern. Fortunately, high doses of vitamin E supplements show promise for liver function improvements in people with fatty liver disease, according to Oregon State University. Mayo Clinic confirms that while more research is needed, vitamin E supplements could help reduce liver damage caused by fatty liver disease. The main reason vitamin E is useful for numerous health conditions is because this essential vitamin is an antioxidant. Antioxidants work in your body to prevent (or slow) cell damage that oxidation and free radicals cause. Free radicals can come from processes occurring naturally in your body or from outside sources like smoking, x-rays, air pollution, some medications, and pesticides. The best way to get plenty of vitamin E in your diet is to eat vitamin E-rich foods and take a multivitamin supplement containing vitamin E.
The recommended dietary allowance (RDA) for vitamin E is 15 milligrams daily for adults, and 19 milligrams per day for breastfeeding women. The tolerable upper intake level (maximum safe amount you can take without medical supervision) for vitamin E for adults is 1,000 milligrams per day. 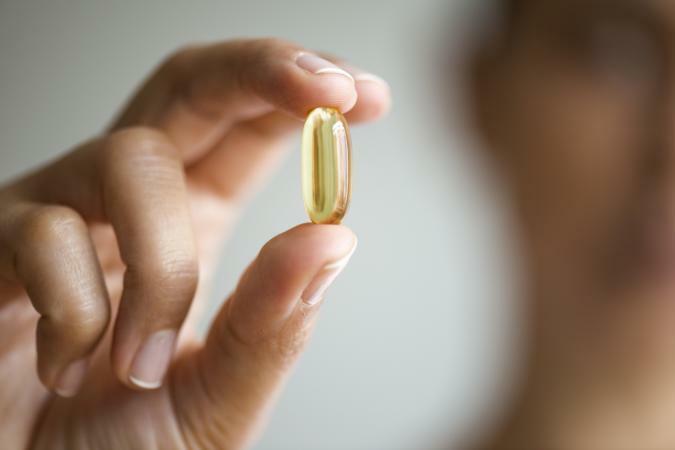 Ask your doctor before taking vitamin supplements. Vitamin E is an essential nutrient your body requires daily to function properly. While research shows numerous health benefits from ingesting vitamin E from foods or supplements, more studies are needed to confirm the findings and establish appropriate dosage recommendations for disease prevention. Meeting the vitamin E RDA without exceeding the tolerable upper intake level is the best way to stay as healthy as possible, avoid vitamin E deficiency symptoms, and reap the numerous health benefits of this essential nutrient.